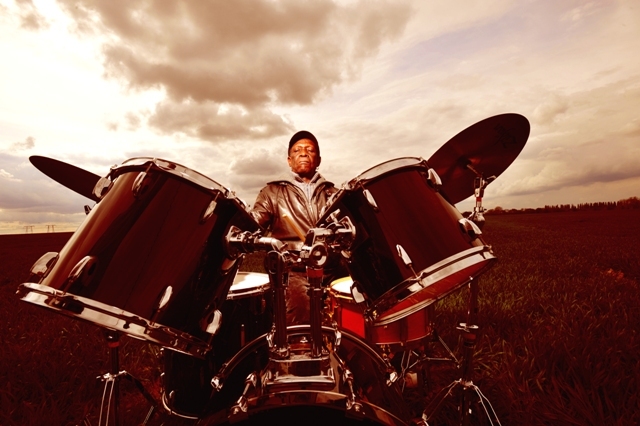 Born in Lagos, Nigeria in 1940, of mixed Nigerian and Ghanaian parentage, Tony Allen taught himself to play by listening to records made by the American jazz drummers Art Blakey and Max Roach. He began working as a professional musician in 1960, gigging around Lagos and variously playing highlife and jazz. 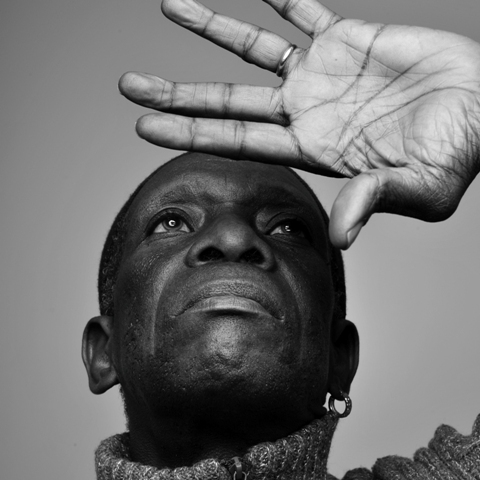 Today living in Paris, Allen has long been acknowledged as Africa’s finest kit drummer and one of it's most influential musicians, the man who with Fela Anikulapo Kuti created Afrobeat - the hard driving, James Brown funk-infused, and politically engaged style which became such a dominant force in African music and whose influence continues to spread today. It was, however, no easier making a living playing jazz in Lagos than it was anywhere else outside the USA in the early 1960s: Allen’s first extended gig was with the Cool Cats, a highlife band fronted by Sir Victor Olaiya (the so-called “Evil Genius of Highlife”, although Olaiya’s group was then pretty much a “copyright band,” playing covers of other artists’ hits). When the Cool Cats split, Allen returned to his job as an electrical technician before joining other highlife groups including Agu Norris and the Heatwaves, the Nigerian Messengers, the Melody Angels and, finally, the Western Toppers. Allen was playing with the Western Toppers when he met Kuti in 1964. They played strictly jazz together for about a year, as the Fela Ransome Kuti Jazz Quartet, before they started Koola Lobitos. Koola Lobitos, formed in 1965, played a mixture of highlife and jazz. Koola Lobitos' nascent Afrobeat would have been nothing without Allen’s innovative bass drum patterns, which were unlike those used by any other kit drummer working in Lagos at the time. His bass drum dealt a double whammy, b-boom, b-boom. Where other drummers would play a single beat, Allen made it a double, giving Afrobeat its trademark forward thrust. Kuti renamed the band Africa 70. With Allen forging the music’s vibrant signature rhythms, and Kuti its incendiary lyrics, the duo had, within a few years turned Afrobeat into a style rivalling the then reigning juju and highlife in popularity. In 1975, Allen recorded his debut album, 'Jealousy', the first of three made with Afrika 70 and produced by Kuti. 'Progress' followed in 1976, 'No Accommodation For Lagos' in 1978. But by 1978 he was ready for a change of scene, and a year later he parted company with Kuti.